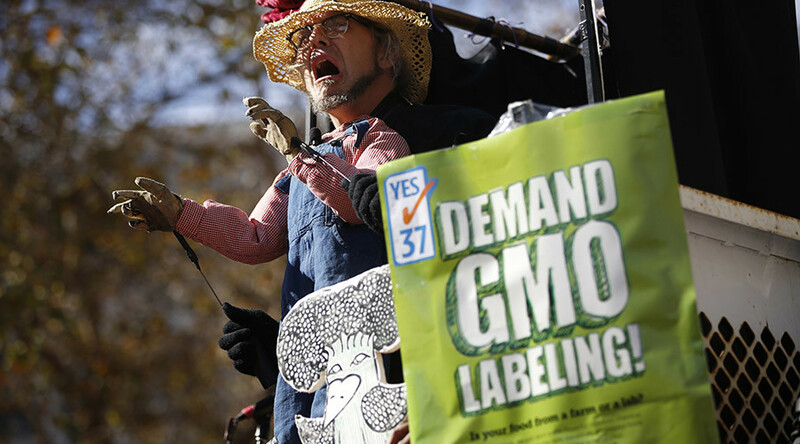 A contentious bill that may keep states from enacting local GMO laws, instead creating a federal “voluntary labeling” standard, has passed a House vote. The bill also regulates the use of the term “natural” on food labels. Following a 275-150 vote on Thursday, the bipartisan bill is heading for the Senate. If enacted into law, the Safe and Accurate Food Labeling Act would create a voluntary GMO-free certification program overseen by the US Department of Agriculture, and override any state and local GMO labeling laws. The legislation preempts any state and local restrictions and labeling requirements for genetically modified organisms, foods containing GMOs, as well as non-GMO and “natural” food. The FDA would review the product before it goes to market and require a label only if a “material difference between food from genetically engineered plants and comparable foods” is found. The companies however would be allowed to label their products as GMO under a new voluntary certification program. The measure would represent a setback for advocates and voters who lobbied for GMO labeling laws that have passed but are yet to take effect in three states – Vermont, Connecticut and Maine. There are at least 15 other states who have introduced similar regulations on foods containing GMOs. All the suggested amendments, one of them looking to prohibit the use of the word “natural” on foods containing GMO, were voted down. Another rejected amendment was calling for labeling of the product as containing GMO in US if the company or its subsidiary does that for the same product on foreign markets. Rep. Jared Polis (D-Colorado) even suggested changing the bill’s name to “Denying Americans the Right to Know” of DARK Act, but this procedural amendment was voted down as well. The vote saw contentious debate on the House floor over GMOs in the US food supply. Member of Congress who opposed the bill protested the fast-growing salmon “Frankenfish” engineered with an eel-like ocean pout, and tomatoes injected with frost-resistant flounder genes. There were also concerns that the bill is violating states’ rights. “This legislation fundamentally takes away from your state and mine the ability to do what they believe is in the interest of their consumers to let them know what they’re buying,” said Rep. Peter Welch, (D-Vermont). A coalition of agriculture interests across the country supported the bill and in a letter to lawmakers this spring said GMOs have been part of the American food system for 20 years. About 90 percent of corn, soybeans and cotton grown in America is genetically engineered, and the crops have been artificially altered, often to use less water or to resist pesticides.